The grim reality that these injuries cause is something that many must deal with because of the negligence and disinterest of those who should have been paying attention. At Wolfson Law Firm, we offer the assistance necessary to get your life back on track. Giving us a call at (855) 982-2067 to speak to a lawyer about your injury will offer you a source of information that can give you and your loved ones the answers you’ve been looking for. All these restaurants offer the best in what West Palm Beach has to offer for you and your loved ones. Still, it is important that you do not take something such as a trip and fall, or slip and fall, lightly in any restaurants. Nor any other public or private area, as what comes next could be both harrowing and anxiety inducing. 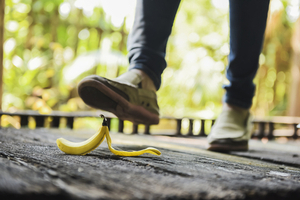 Finding yourself injured in a trip and fall accident means that the place you’ve chosen to spend time with your family has broken the promise of safety that it offered you when you stepped through its doors. Your injury has been caused due to another’s negligence, and now you’re suffering for it. We don’t think that’s fair, and likely neither do you, that is why contacting a West Palm Beach Trip and Fall Lawyer is one of the best options you could take. The West Palm Beach Personal Injury and Wrongful Death Lawyers of Wolfson Law firm are prepared and willing to help you. The managing attorney Jonah Wolfson and his team of bilingual personal injury lawyers are available to help represent you in these matters. Taking the time to call them via the toll-free number of (855) 982-2067 will set you up with an appointment live, or over the phone. They can meet with you where it's convenient for you, or at their offices located in Fort Lauderdale, Miami, West Palm Beach, or Fort Myers. All Injury cases are handled with a contingency fee basis, so that you do not owe us a cent unless we’re able to make a recovery for you. Get the information you need, and the care you deserve, call now to speak to our West Palm Beach personal injury lawyers today.